Now that President Trump has appointed the senior members of his trade policy team, we can examine their backgrounds in the context of his statements during and since the campaign to obtain a more informed look at a possible Trump’s trade policy. During the campaign, Trump promised to change dramatically a variety of U.S. trade policies that have stood for decades. For example, he proposed imposing a border tax targeting specific companies, imposing across-the-board tariffs, terminating or renegotiating free trade agreements (FTAs) and labelling China a currency manipulator. Since his election he announced the creation of a new White House entity to advise on trade – the National Trade Council (NTC). President Trump is poised to implement at least some of his campaign promises on trade. He has created an entity that he can use to control trade policy in the White House, and he has appointed to key trade posts the architects of his positions on the campaign trail. His appointees exhibit an outlook that is much tougher than previous U.S. policy towards major trading partners such as China and Mexico. The appointees, like the President himself, indicate a willingness to take more extreme measures to protect U.S. manufacturing jobs and industries, even though certain of these measures, as discussed below, create risks of potential trade retaliation and adverse multilateral rulings. 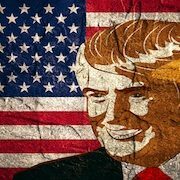 In this regard, core elements of President Trump’s trade policy may more closely resemble the traditional Democratic, rather than Republican, orthodoxy on trade. Assistant to the President and Director of Trade and Industrial Policy, NTC: Peter Navarro. Mr. Navarro, 67, is currently a professor of economics and public policy at the Paul Merage School of Business, University of California, Irvine. With Wilbur Ross, he developed Trump’s trade policy platform during the election campaign. nomic sectors like steel, coal and textiles. He is familiar with U.S. trade remedies, as his investments often were premised on newly acquired companies, e.g., LTV Steel, receiving trade relief in the form of high tariffs. Mr. Ross appears to have less experience with the high-tech, services and IP sectors that now drive much of U.S. economic growth. Mr. Ross has supported the President’s plan to use tariffs and “all available means” to protect U.S. manufacturing jobs against unfair trade practices by foreign countries. On November 30, 2016, after his appointment was announced, he was widely quoted as referring to the Trans-Pacific Partnership (TPP) as “a flawed agreement” that “is not going to happen.” According to Mr. Ross’s testimony before the U.S. Senate, the Trump administration will move swiftly to renegotiate or terminate NAFTA and the TPP. U.S. Trade Representative: Robert Lighthizer. Mr. Lighthizer, 69, was an early Trump supporter who helped run the transition team focusing on trade. After a stint as chief of staff of the U.S. Senate Committee on Finance, he served as Deputy USTR during the Reagan administration. Since leaving USTR in the 1980s for private practice at a large New York-based law firm, Mr. Lighthizer has built a reputation representing U.S. Steel for decades in the company’s campaign to restrict dumped and subsidized steel imports from China, Japan, Korea and other major steel producing countries. Some Democratic members of Congress have expressed satisfaction with Mr. Lighthizer’s appointment but are worried that Mr. Lighthizer’s authority could be undermined by some of President Trump’s other cabinet picks, whose positions they claim are at odds with the President’s campaign promises on trade. One Democrat described Lighthizer as he believes there is “some hope” in dealing with constructively to impose more protectionist measures. This reaction from a Democrat highlights just how far President Trump’s stated approach to trade policy has diverged from Republican Party free-trade orthodoxy. Lower-level trade appointments. Trump has floated several names for the positions that would answer to USTR Lighthizer and Secretary Ross. Without exception, they are senior members of international trade groups in law firms, including Lighthizer’s firm, that focus on using U.S. trade remedy laws to obtaining protection for their domestic clients. President Trump has focused on a series of potential trade actions that revolve around his campaign’s central themes of restoring U.S. manufacturing jobs and targeting what he perceives as unfair trade practices by key U.S. trading partners, such as China and Mexico. The President pledged to terminate and/or renegotiate major trade agreements, including the North American Free Trade Agreement (NAFTA) and the Trans-Pacific Partnership (TPP); label China a currency manipulator; impose across-the-board tariffs against imports from China and Mexico; take action against unfair trade practices under Section 301 of the Trade Act of 1974; and self-initiate U.S. trade remedy proceedings and WTO disputes. In addition, Trump repeatedly has said that he will seek to impose import tariffs against U.S. companies that move production overseas. During his campaign he invoked the threat of a border tax as a means to encourage companies to maintain production in the United States and shift overseas production to the United States. House Republicans have introduced a GOP Tax Reform Blueprint that includes a border adjustment tax (BAT) that would eliminate the deduction for the cost of imported goods and exempt sales of exported goods. Speaker of the House Paul Ryan has proposed the BAT (instead of across-the-board tariffs) as a means of accomplishing administration goals without starting a trade war. President Trump has recently expressed some skepticism of the House border tax plan, calling it “too complicated,” but negotiations between the Congress and the new President continue. Our analysis suggests that President Trump intends to follow through on at least some of these promises. First, he has appointed the architects of his trade policy campaign platform to the most senior trade positions. Secondly, he has appointed to other trade positions experts who have built careers in Washington, DC using U.S. trade remedies laws to protect U.S. industries from foreign competition. Third, he has created a new entity – the NTC – which he can use to control trade policy from the White House. Finally, at least some of Trump’s senior advisers appear to hold virulently anti-China views and to reject majority economic theory holding that international trade is beneficial. Some actions, particularly those for which the Executive Branch has authority independent of Congressional authorization (e.g., naming China a currency manipulator), will be easier for the President to implement. Each of the proposed actions will face obstacles, whether from opposing domestic interests (e.g., industrial or individual consumers who would face higher prices), potential inconsistency with U.S. law or trade agreement provisions, or foreign government retaliation. As President Trump and his advisers begin to weigh the benefits and costs of his trade proposals, the new administration may ultimately decide that a less extreme approach is more effective. The administration may decide to pursue new bilateral trade deals with longstanding allies such as the United Kingdom and Japan, increase pressure on China but preserve other trade relationships, aggressively pursue new trade remedy petitions and WTO actions – while avoiding measures that are of questionable legality under existing multilateral trade agreements and which would invite severe retaliatory actions by U.S. trading partners to the detriment of U.S. companies.